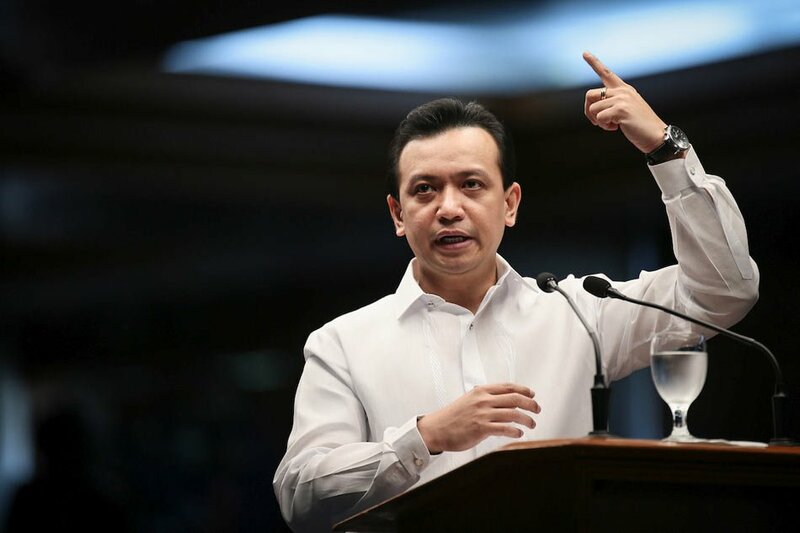 Senator Sonny Trillanes IV asked on simple thing on Twitter that was meant to make people realize that President Rodrigo Roa Duterte’s two year term was nothing but a burden to the Filipinos but in return got burnt to crisp after MJ Reyes, an international trade expert redirects the same question to the 11 year term Senator. Sa totoo lang, after 2 years na pamamahala, napaganda ba ni Duterte ang buhay mo? In 2 yrs, crime rate dropped by 30% +/-, ala ng laglag-bala, gumaganda na sistema, kinikilala na tayo ng ASEAN, Russia, Japan, China, US, etc. The better question is: Sa 11 yrs mo as senator, ano nga ba nagawa mo para mapaganda ang buhay ng mga Filipino? Damn, Trillanes was not expecting that at all. For despite being the senator with the most bills passed, the Filipinos just found those bills as a burden. “MJ Quiambao Reyes. I'm with you. In 2yrs ni Pres DU30. He approved the free tuition for state colleges/ universities which helped a lot for all the poor yet deserving students. I, myself is a product of a state college. Taxes for employees has been lowered down. No taxes for below minimum to 20k earner. Si walang favoritism. Cabinet members kahit ka brad/kaibigan pinatalsik o voluntarily resign. And marami pa siyang nagawa and gagawin for the good of our countrymen. Praying for our President”. We really can’t do anything about Trillanes and his large mouth and underused brain but one thing was for sure he asked for it and MJ Reyes delivered a spanking that will hopefully get him to think before he talks.